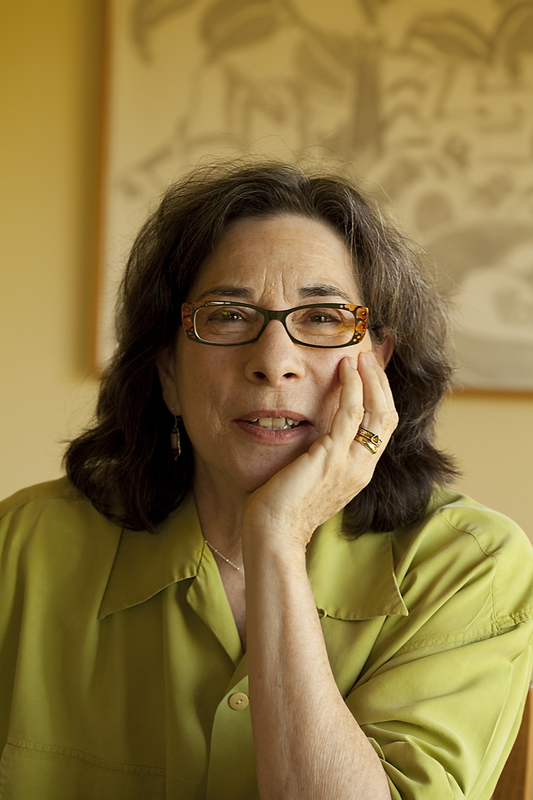 Laura Furman is an award-winning fiction and nonfiction writer and teacher. Her new collection of short stories, The Mother Who Stayed, out last month, is already receiving rave reviews. Short story writers the world over also hope to catch Ms. Furman’s eye, as she is the editor of the prestigious PEN/O. Henry Prize Stories series featuring some of the best short stories written in the English-language today. I caught up with her after a recent reading at the American Library of Paris to talk about publishing, Paris, and not trying to please anyone with your work until it’s done. 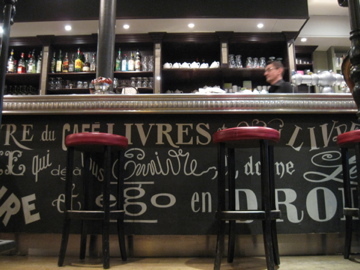 Here’s another perk of living in Paris (or in this case, anywhere in France). Every March for three days, all cinema tickets across the country are only 3.50 euros. For any film, at any time, new release or not. This annual event is called “Le Printemps du Cinema.” Me likey. Yesterday I went to see “The King’s Speech.” Yes, I’m one of the last people on earth to see this film, but I think I was rewarded for my waiting strategy. You can imagine that with the 3.50 price tag, going to the movies suddenly strikes a lot of people as a good idea. There can often be long lines during these three days. Pick a flick that’s been out forever, though (and even better, go at an off-hour if you can), you’re more likely to beat the crowds. 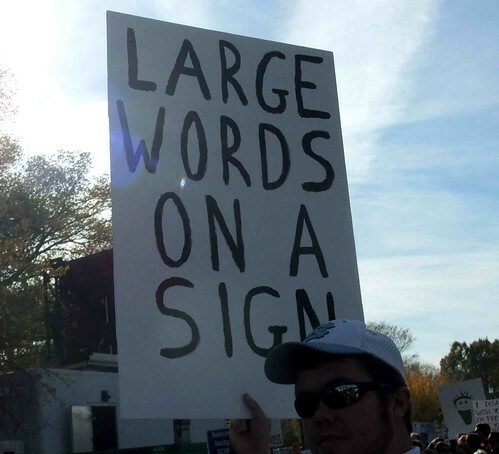 And so I did. I slid right in, saw a great movie, and waltzed right back out, all for less than the price of a good hot chocolate (a key cost comparison). On a random note, as I was leaving the theater, I was nearly knocked over the head with this reality: whoa! Paris is beautiful! Oh, wait. That’s not original, is it? Let me clarify. I’m near-sighted and spend almost all day in front of a computer for which I don’t need my glasses. And I practically never wear my glasses out. Eh, I can see what’s in front of me, who needs to see far away, right? I wear them when I go to the movies, though, and I kept them on as I was exiting the theater. And then I realized just how bad my eyesight must be, because the city seemed to be blazing with beauty – on fire with it, now that I could see clearly. I felt like I was in a film. So, I guess I better admit that I’m getting older, eyesight’s growing poorer, and just wear my glasses more often. In return, the City of Light will delight me anew. Priceless. 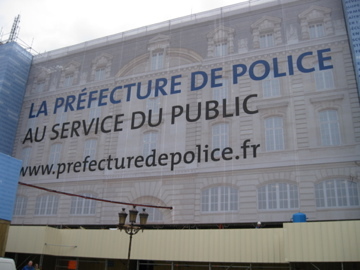 Looks like Paris’ Prefecture de Police is getting a make-over. Not only physically (though, that, too – I love how even construction can be classy in this city. Scaffolding hidden by these large panels made to resemble the building). No, even their messaging is getting a make-over. “At the public’s service.” Aw. Doesn’t that sound all nice and fuzzy? I am a member of the public! Thank you for being at my service! Only thing is, I’m terrified of the prefecture. This is where you stand in long lines, wait in windowless rooms, clutch your dossier chock full of every official document known to man, fearing the person behind the desk will say non! c’est pas possible or c’est pas bon, both of which I have heard many times when it comes to bureaucracy. BUT, for the second year in a row, I just had a great, easy time at the prefecture. The female security guard (never seen a female guard at the entrance before) smiled. The cashier, too (after relieving me of 110 euros). The person who handed me my new card laughed and joked, while going to town with the stamps (multiple stamps – always a good sign). And, I. Well, I could have cried. With joy! Friends, I just received my 10-YEAR CARD. I stared at the date for a long time. Tears started welling up in my eyes. I am thrilled the prefecture has become a shinier, happier place….but I can’t say I’ll miss going each year to renew. A full decade of residency is now mine. I am so thankful. So grateful. 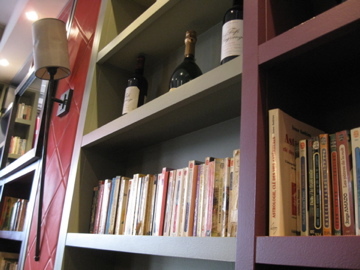 I’ve been thinking a lot lately about real books versus e-books, traditional versus independent publishing. The digital explosion means new possibilities for writers and readers in so many different ways. I’ve loved creating a cyber community that feels just as strong as my on-the-ground network (hmm, does that say something about my social skills?). This blog and you lovely readers are now such a happy part of my life; I’m thankful for the Internet, for new technology that has revolutionized the way we communicate, how we stay in touch. So much information streaming at me from one little screen. I dream of seeing my words in both print and electronic formats now. Still, I love books. The kind I grew up with. What would we lose if they all ended up in a computer or on a wireless device? Ink on paper. Another person’s mind and imagination captured in a concrete creation. A book you can hold in your hands. 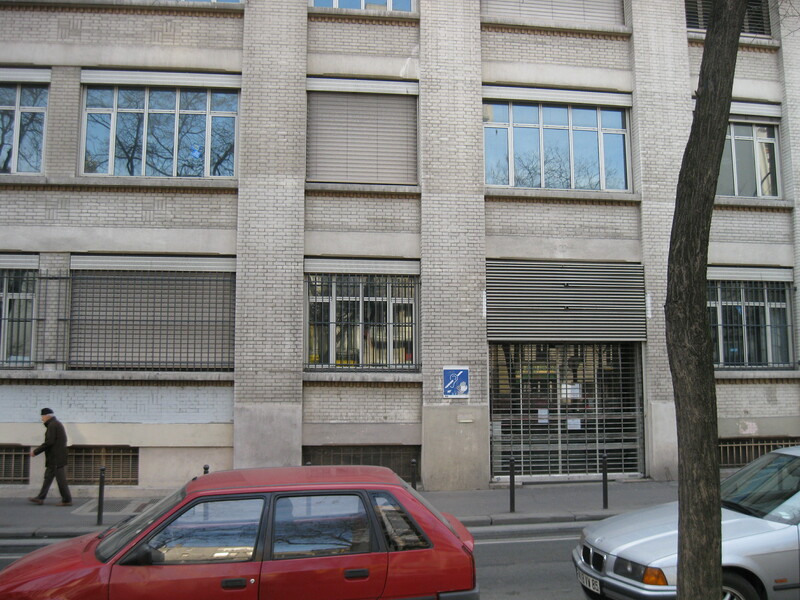 For years, I’ve passed this building around the corner from me on Boulevard Charonne and wondered why it hadn’t yet been squatted. It’s a huge abandoned space that could definitely be put to better use. Well, looks like I wasn’t the only one thinking along those lines. Though actually, it was the huge abandoned building next door to it that became the site of the scene. (I guess the former post office building just intrigued me more). 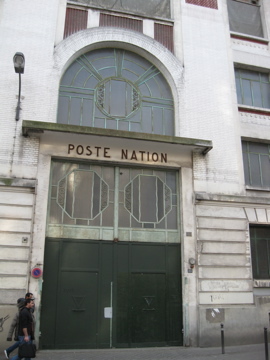 On Saturday, 100 people from the group CIP-IDF (Coordination des Intermittents et Precaires – Ile-de-France) took over the building located at 63-65 Boulevard Charonne and were forcibly taken out by police. This group was apparently evicted from another space in the 19th and has been petitioning the Mairie de 11eme for awhile now to move into this one. No response. It’s been awhile since a Faux Pas Friday. No, I haven’t suddenly gained more finesse. I simply haven’t been going out enough to get myself into a fix. But never fear. Spring is near, and increased outings will surely offer me new ways to look the fool. I’ve been meaning to go to this free exercise class since mid-January (yes, I know it’s now mid-March). You’ve already figured out that I’ll do a lot of things for a good story; have I mentioned the great lengths I’ll go to for just about anything free? “Gym suedoise.” Swedish gym. Ok, I have no idea what that means, but I decide that Swedes are usually in very good shape, so I will trust them with a fine workout routine. (Remind me to write another post about my former Swedish fetish). I finally decide, spur of the moment (as I do many things) that tonight is the night.